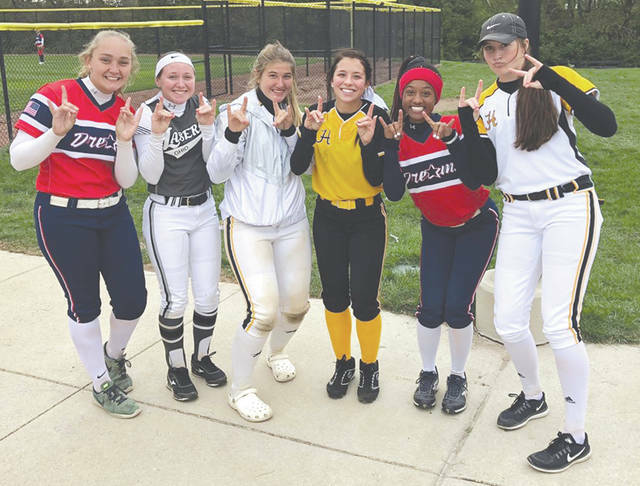 https://www.fairborndailyherald.com/wp-content/uploads/sites/50/2018/11/web1_2019WSUClass_PS.jpgWright State University’s 2019 recruiting class met up with each other at an amateur fast-pitch tournament earlier this year. Grace Gressley, Cameron Wesley, Olivia Bricker, Ernestine Hursey, Payton Baxter and Emily Daniel have signed national letters of intent to play for the Raiders next season. Photo courtesy of Wright State University.